A chilly day is expected as temperatures struggle to warm into the low 40s today while cloud cover increases from south to north. A few showers will be possible late this afternoon across portions of East Texas, mainly south of Interstate 20. Some locations may see a transition to a light wintry mix of rain, sleet, and snow by sunset. There is a chance for a very light wintry mix of rain, sleet, and snow across much of the area tonight through sunrise Saturday morning. Any accumulations should be very light. 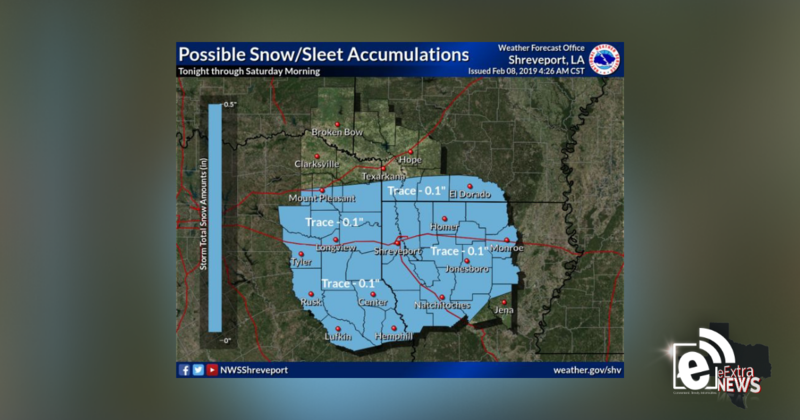 The best chances for accumulations should be across portions of East Texas, Southern Arkansas, and Northern Louisiana between I-20 and U.S. Hwy 82. A few slick spots will be possible on area bridges and overpasses. 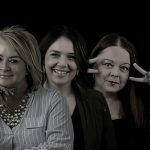 Next articleDowntown parking || Is it a problem?